I really think I need to make this one into a quilt. 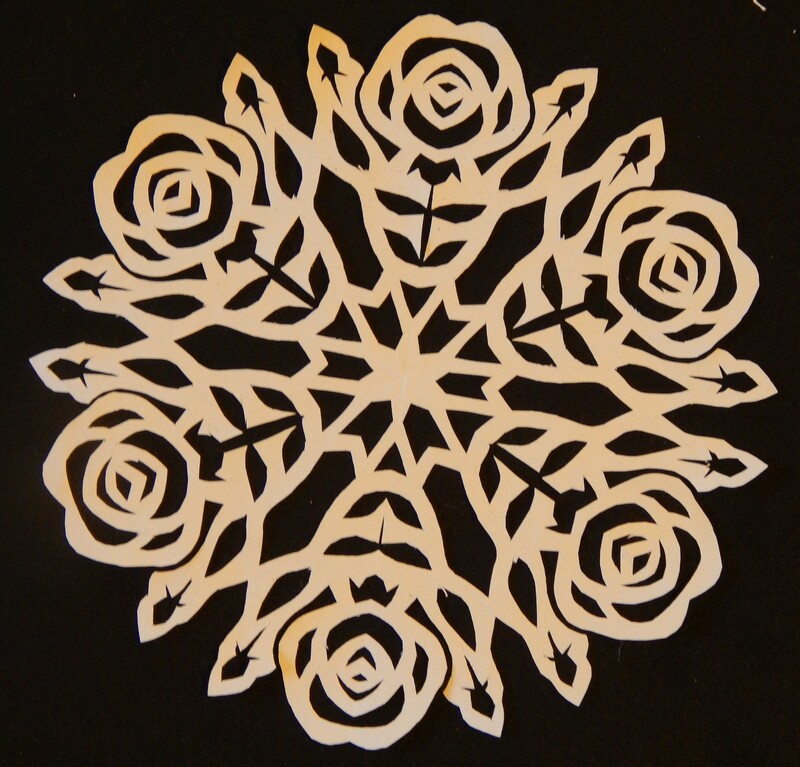 This entry was posted in ETC and tagged how to make snowflakes, paper snowflakes. That last snowflake would be lovely in a quilt, or in placemats. absolutely incredible, Tim. Do you sketch them out on the folded paper before you begin to cut? Mind. Blown. Those patterns are astounding! You make them look so real. Like when those big fluffy ones fall at night and look so pretty. I have bought snowflake 2 & 3 of your Etsy shop, all of those are incredible! I really want to take one and do a small quilt. What was your process when you made yours? STUNNING!!! You are very gifted. What a wonderful blessing. Yes, that’s the one I picked out too. Meant to be quilted. I think your snowflakes are amazing! I found your blog because of them a few years ago after seeing your snowflakes on Wonkyworld blog & have been following your work since then. OMG, Tim, they are GORGEOUS! what size are they? Thank you! I always enjoyed cutting paper snowflakes but mine are much smaller – around 4″, so not nearly as intricate as yours.